When will Google buy Twitter? If reports are true, Facebook is about to announce a major deal with Skype: in addition to bringing Facebook Connect to the Internet telephone service, the partnership would integrate Facebook and Skype contacts, enabling easy calling of Facebook friends and the ability to chat without leaving Facebook. That's bad news for Google. Between them, the two services have around 1 billion users - and by putting Skype into Facebook, it's yet another attempt by the social network to keep people from leaving its cosy, Google-free embrace. We said last year that Google should buy Twitter. Rumours that Google planned to do just that amounted to nothing, and Google's social adventures are still limited to Orkut and Buzz. Meanwhile Twitter goes from strength to strength, and it's now bigger than MySpace. So why should Google buy a service that isn't making significant sums of money? There are two key reasons. The first is that Twitter is becoming a recommendation engine, a place you go to find content or product recommendations. If you're a prolific Twitter user you'll know that many of the websites you visit, stories you read or products you check out aren't things you've gone looking for; they're things that have come to you via the people you follow. Each of those links, each of those recommendations is a missed opportunity for Google: each one is a search you didn't make, a bunch of sponsored links you didn't see, a shiny coin that isn't going into Google's pocket. The other, arguably more important, reason is that Twitter is something Google so far seems unable to create: a genuine rival to Facebook. As Facebook attempts to annex the entire Internet, Google appears to be watching from the sidelines, unable to compete. And while Google waits, Twitter's price tag goes up. Last Spring, reports suggested that Twitter turned down a $500m offer from Facebook not because the price wasn't right, but because Facebook wanted to pay most of the money in Facebook shares. 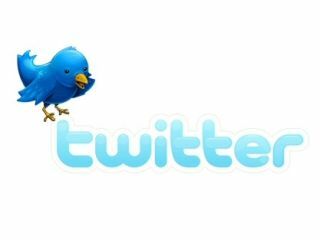 By October, analysts were suggesting that Twitter was worth $1 billion and increasing by around 1 million dollars per day. In April, the number was heading towards a billion and a half. Would Twitter sell? There's a precedent: Twitter founder Ev Williams previously created Pyra Labs, home of Blogger, which Google acquired in 2003; he went on to co-found Odeo, which in turn was sold in 2007, so there clearly isn't any ideological objection to selling on businesses he's built. Everyone has their price - but the longer Google waits, the higher that price will be.